Plant the seed and ideas shall grow. I love getting mail and experiencing new places so it’s no wonder that the idea of Postcrossing puts a little sparkle in my eyes. What is Postcrossing? It’s a project that allows anyone to receive postcards (real ones, not electronic) from random places in the world. Send a postcard and receive a postcard back from a random person somewhere in the world! It’s a special postcard that I picked up in June this year. I spent a few days with girlfriends splashing about in the AMAZING waters of Ningaloo Reef (about an hour’s flight from Perth). The highlight was of course, swimming with the gentle giants of the reef, the whale sharks. A highlight of my life really. A must-do experience! 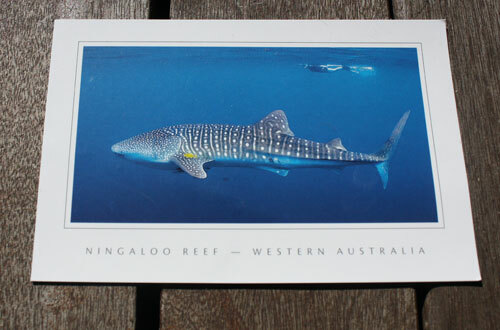 I know I’ll go back to visit the reef, which is why I was able to part with the postcard. I hope she likes it. I love swans. So elegant and ethereal. Childhood memories of a favourite fable sparkle in my mind when I look at this photo. 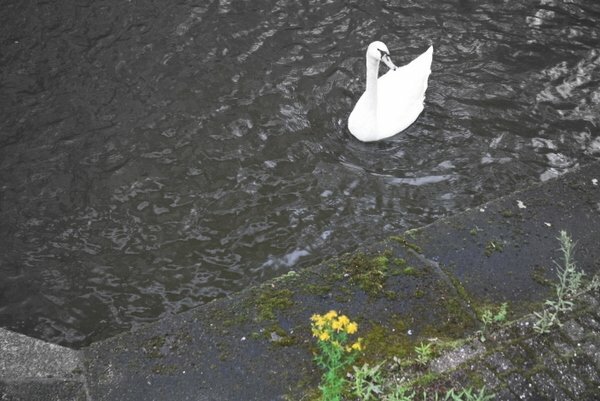 This pretty swan was snapped as she gently meandered along the canal that runs outside the Anne Frank Museum in Amsterdam. It brings me to remember that I actually purchased a ‘special edition’ copy of Anne Frank’s diary, of which I still have sitting on my book shelf unopened, plastic wrap untouched. I want to tear open its casing and read the book again, but then I pull my hand back with mere hesitation. Not sure why, but I just can’t bring myself to do it. I tip my hat to Spain for winning the world cup this morning. I can just picture the merry jubilation taking place – music, singing, clapping and dancing in the streets, a proud, national celebration that does not relent until the wee hours of the morning. The Spanish sure know how to party. It was around this time last year that the Mister and I were in Spain. 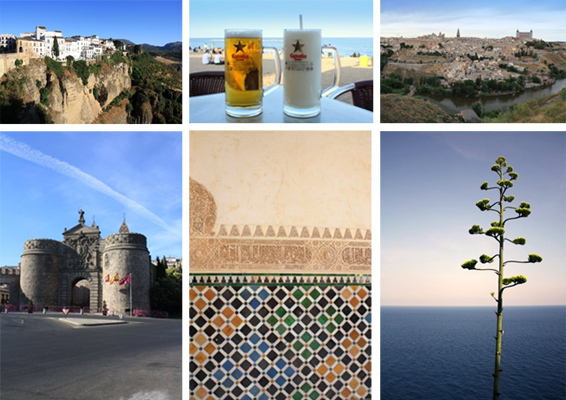 We spent 2 weeks exploring Catalunya down to Andalucia and back through Castilla-La Muncha and Aragon. We loved the big cities, namely Barcelona and Granada, but it was the smaller towns that took our breath away, in particular Toledo and Ronda. Lasting impressions include Gaudi’s stamp on Barcelona; free tapas in Granada (a bit of bar-hopping is recommended! ), the breathtaking palace that is the Alambrah and the Generalife gardens; flamenco dancing; free-spirited scooter adventures around Lloret de Mar and Tossa de Mar; the 120m tall Puento Nuevo bridge in Ronda; driving through lush, green rice fields and eating fresh paella afterwards; treating my taste buds to the BEST orange juice (in Valencia of course! ); the music. Oh, the music. Memories of Spain. Left-right. White-washed buildings of Ronda. Cerveza & Piña Colada served Barcelona style. Lookout over Toledo. The original, medieval entrance to Toledo town centre. Moresque tiles of the grand Alambrah, Granada. 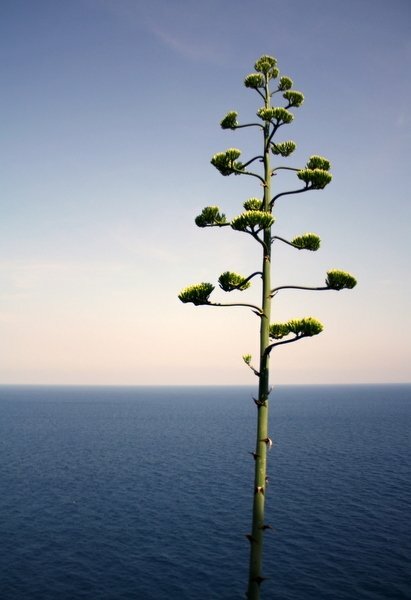 Beautiful sea-side plant perched upon clifftop, Tossa de Mar. right now i'm enjoying summer's balmy nights. the beach. barbeques and the extra hours of daylight. i'm planning my wedding and shopping for my dress. i'm looking forward to christmas and holidays where i can relax and devote more time to my photography, painting, writing and perth adventures. here, i share my daily inspirations. Photography by Olive is licensed under a Creative Commons Attribution-NoDerivs 3.0 Unported License.